For Sale All Locations, South Carolina, Florence Meadors Farm Rd. Commercial re-development site Fronting James Jones Ave. and Meadors Farm Rd. This site is located in a neighborhood with an array of professional offices and numerous retail services. 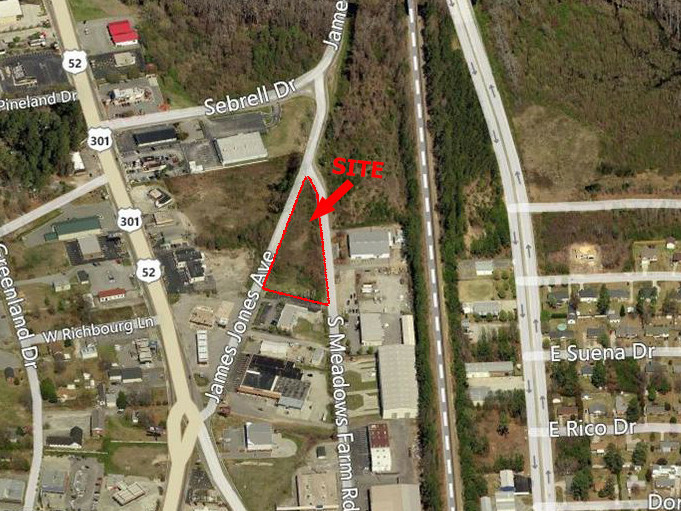 This area is an established commercial corridor and the site offers a wide variety of uses. Located approximately a mile away is Florence’s largest private hospital, the campus of Carolinas Hospital System. The Pamplico Highway area has recently become a vibrant and fast growing South Florence market. The two adjacent sites are an approximately .83 and .49 acres and provides exceptional ingress and egress to Meadors Farm Rd. and James Jones Ave.